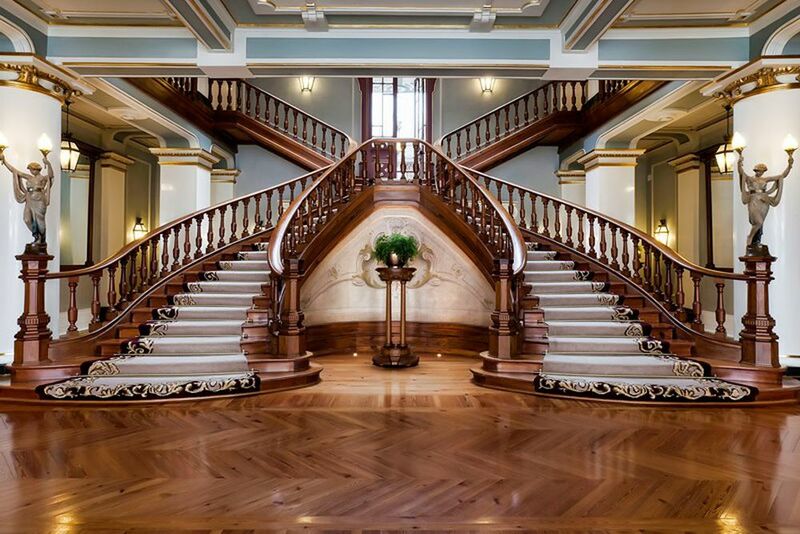 Live like a king or a queen in a former palace. Spend a night in the Superior Room with its stunning decor. Discover a historical palace of timeless value and secular splendor of modern luxury in a place where the natural beauty is in perfect balance. 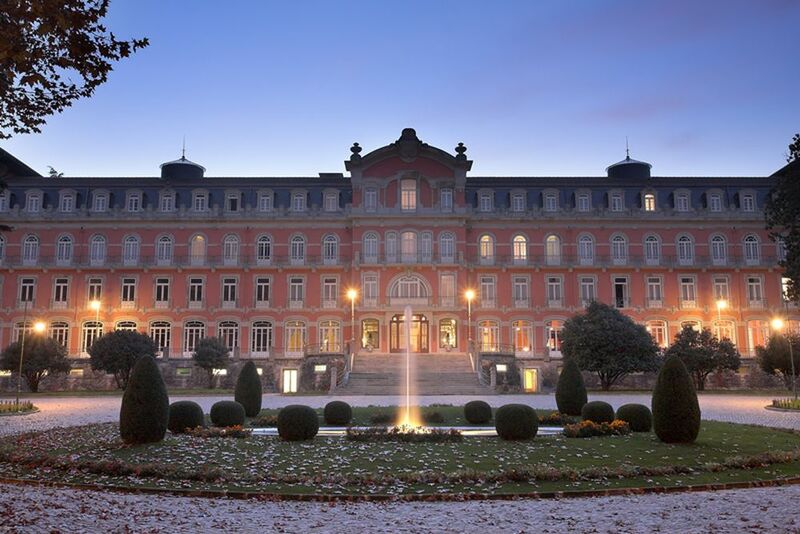 Vidago Palace is nestled in the Portuguese landscape, and it is one of the Leading Hotels of the World because of its authentic palace where visitors are able to reside! 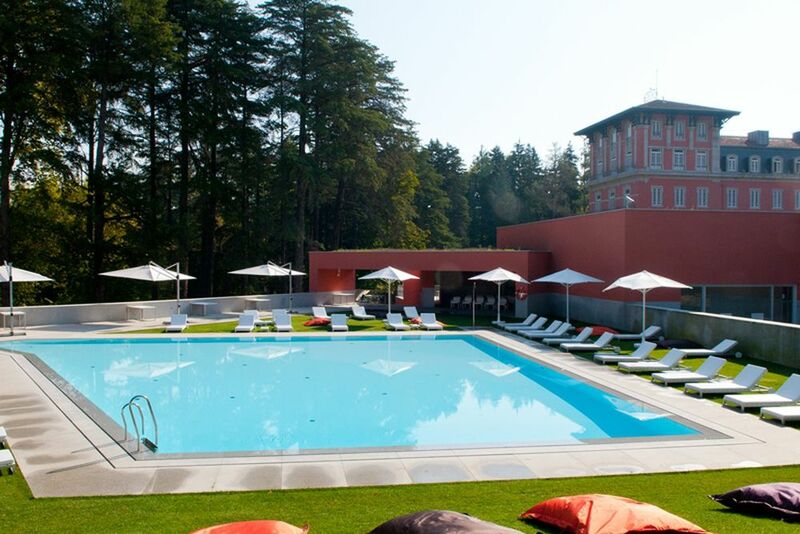 In the north of Portugal stands the Vidago Palace Hotel! 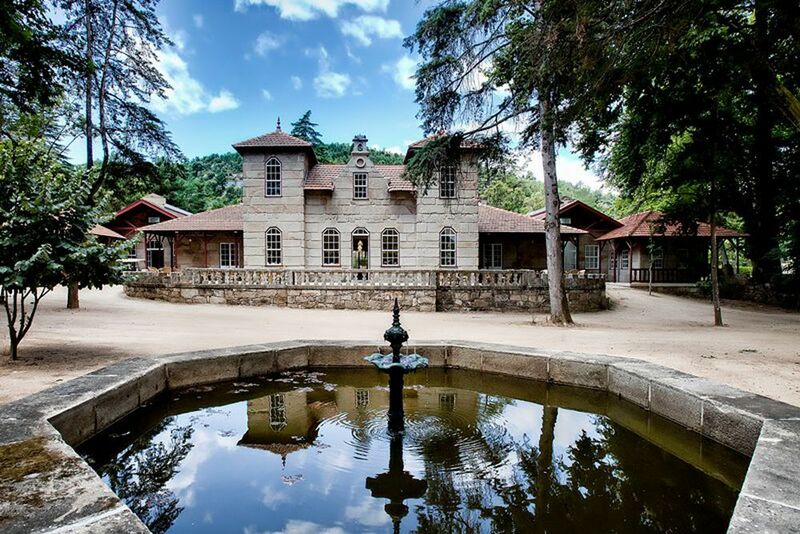 This emblematic palace hidden in the woods, set amid the Vidago Nature Park, is an invitation to discovery! Surrounded by the vast mountains and thick woodlands, the 100-year-old country house, luxury hotel earned its reputation for its thermal baths. 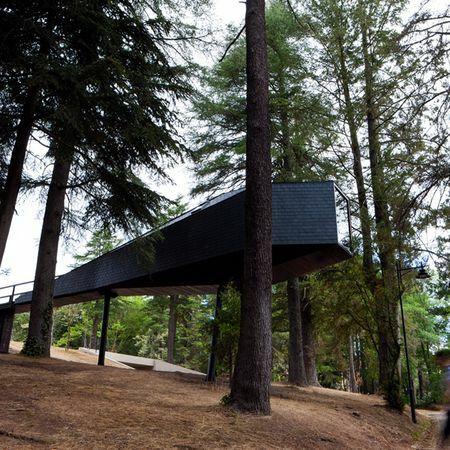 Set in the Vidago Thermal Park, it stands out for the experience it provides, combining contact with nature and an atmosphere replete with glamour and elegance. Oporto Airport is about 135 km away. Mentioned in countless publications and guidebooks, both Portuguese and international, the sumptuous Vidago Palace Hotel is one of the most romantic and emblematic tourism destinations of the northern region of Portugal. The 5-star hotel is part of the Leading Hotels of the World network, and offers its guests excellent service, a modern Spa, gourmet restaurants and a unique golf course. The six restaurants offer various delicacies and culinary highlights in beautiful settings around the luxury hotel. 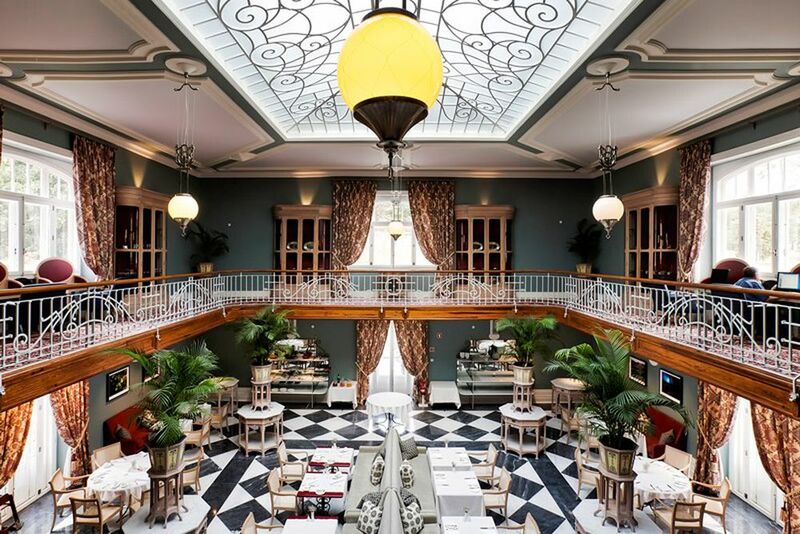 As sumptuous and proud as its illustrious original chandeliers is The Salao Nobre, or The Grand Ballroom. Since it is the hotel’s main gourmet restaurant, they serves traditional cuisine in an ambience of luxury. 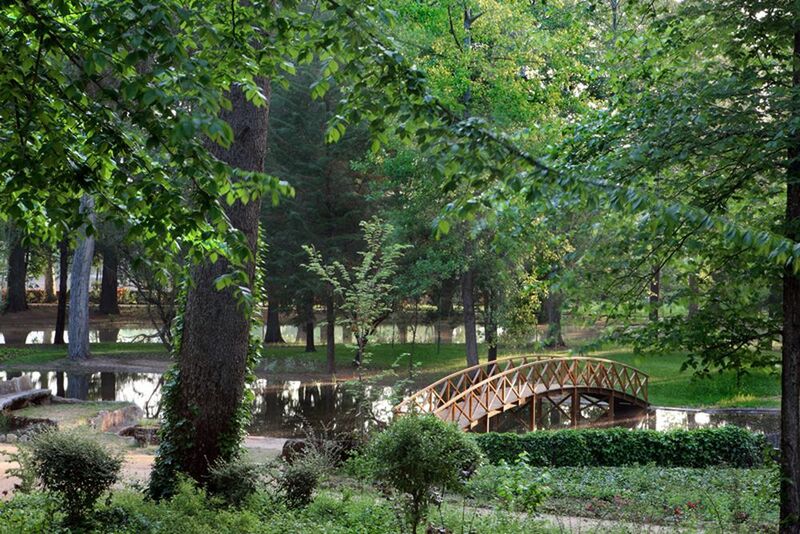 Jardim de Inverno, or Winter Garden, is the perfect start to anyone’s morning! The romantic and peace breakfast room has a breakfast buffet and assorted pastries with beverages available. For guests who desire a traditional cuisine or light meals, visit The Club House, The Pool Side Bar or the Quatro Estacoes. 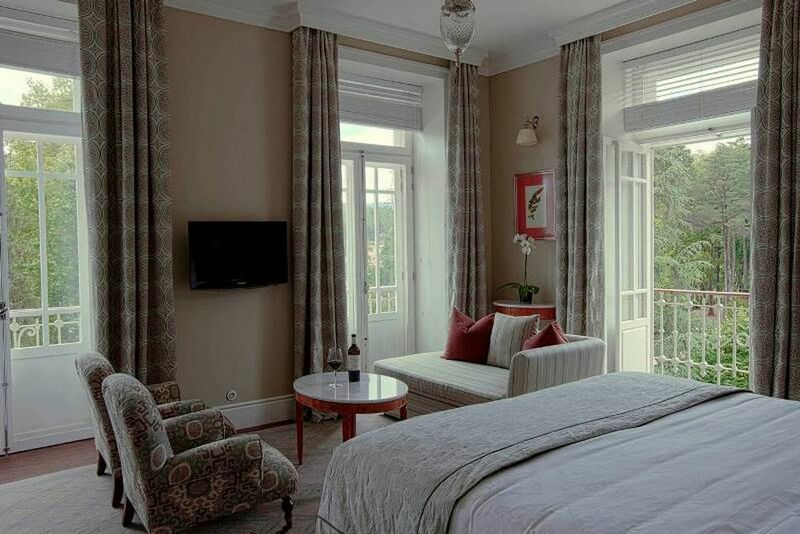 The Vidago Palace Hotel has 70 rooms and suites divided into four categories. 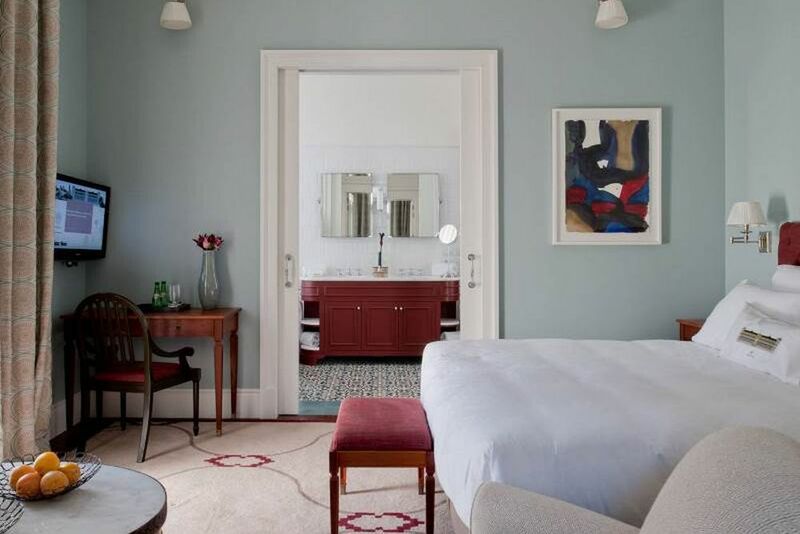 All stylishly furnished, the rooms include a TV with international channels, telephone, minibar, safe, air conditioning, hair dryer, bathrobes and slippers, and a work desk. Standard Room (21-30 sqm)- With a double or single bed, these rooms have a bathroom with a shower or bathtub. No extra bed is possible. 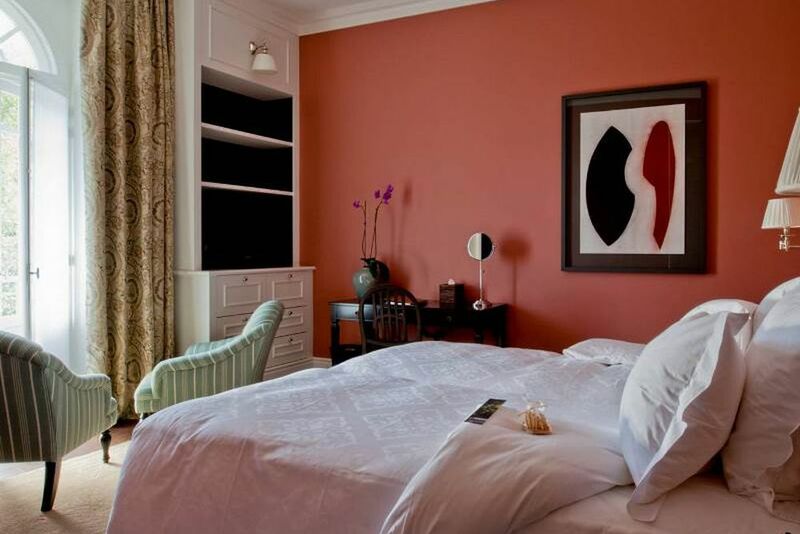 Superior Room (24-32 sqm)- With a double or single bed, these rooms have a bathroom with a shower or bathtub. An extra bed is possible. Privilege Room (33-49 sqm)- With a double or single bed, these rooms have a bathroom with a shower or bathtub. An extra bed is possible. Suite (51-88 sqm)- With a double or single bed, these rooms have a large bathroom with a bathtub and shower, living room, wardrobe and work area. An extra bed is possible. 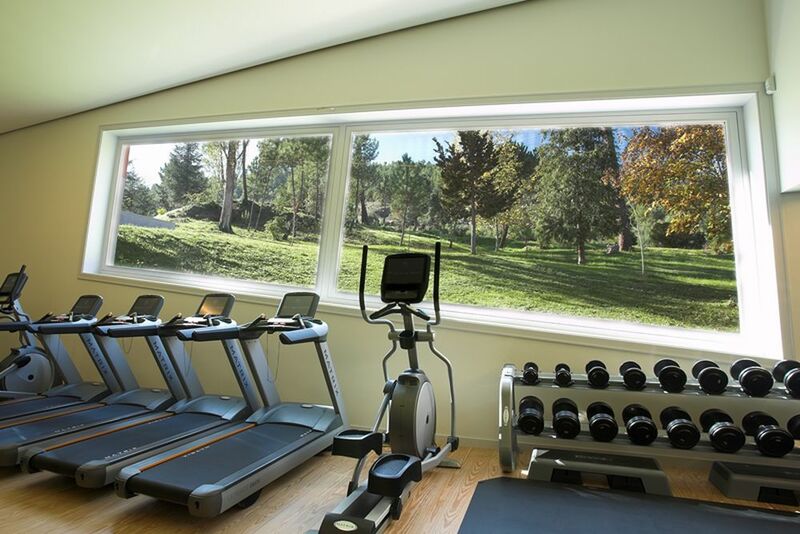 The Vidago Palace Hotel Spa is a place of sophisticated elegance and glamour set amid 100 hectares of scented pine and cedar, interspersed with rosemary and lavender across the whole park. 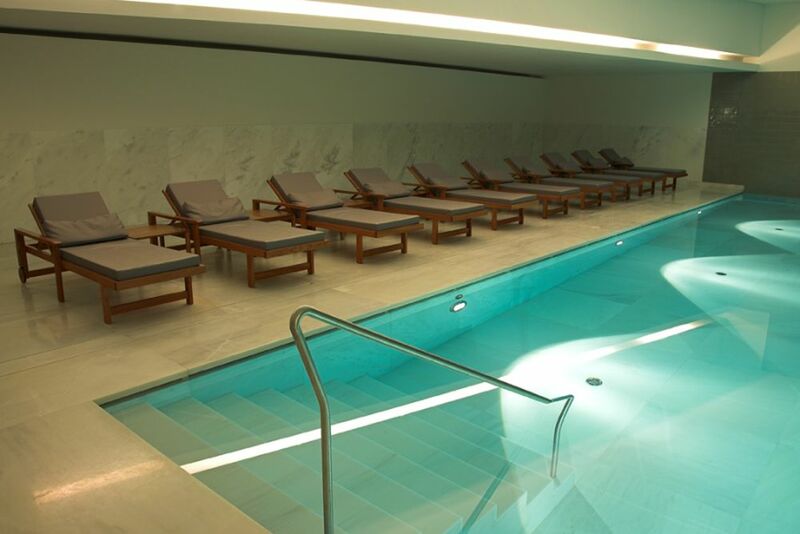 The treatments are specially designed with the Vidago natural mineral water, and experienced professional staff make sure your experience is nothing but relaxing. 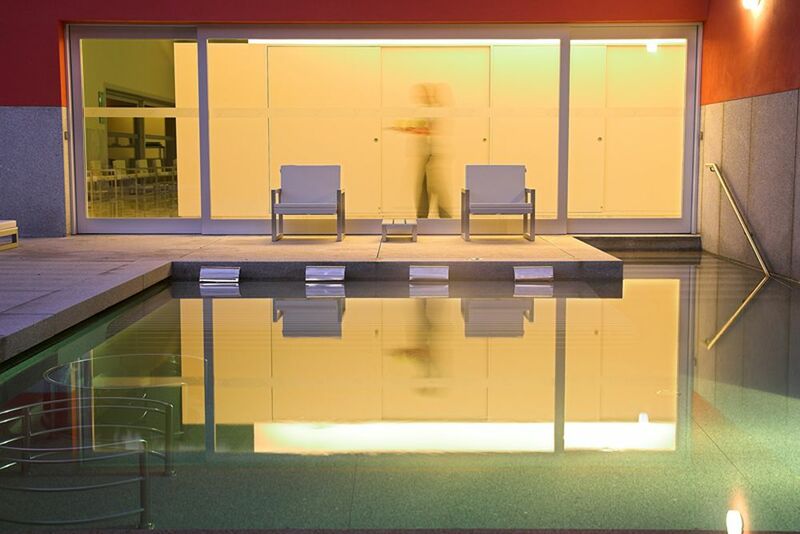 In addition to 20 treatment rooms, there is an indoor and outdoor pool, a Vitality Pool, a gym, a sauna, a Turkish bath and relaxation rooms. 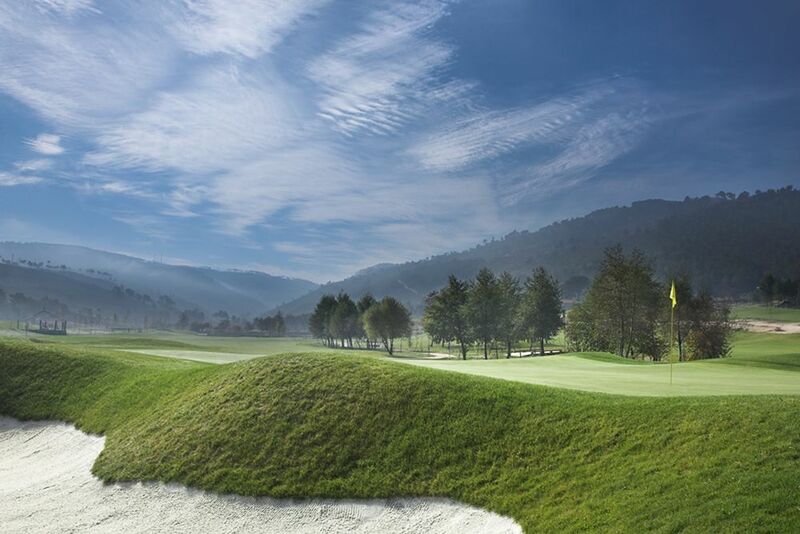 Welcome to Portugal: golf paradise! 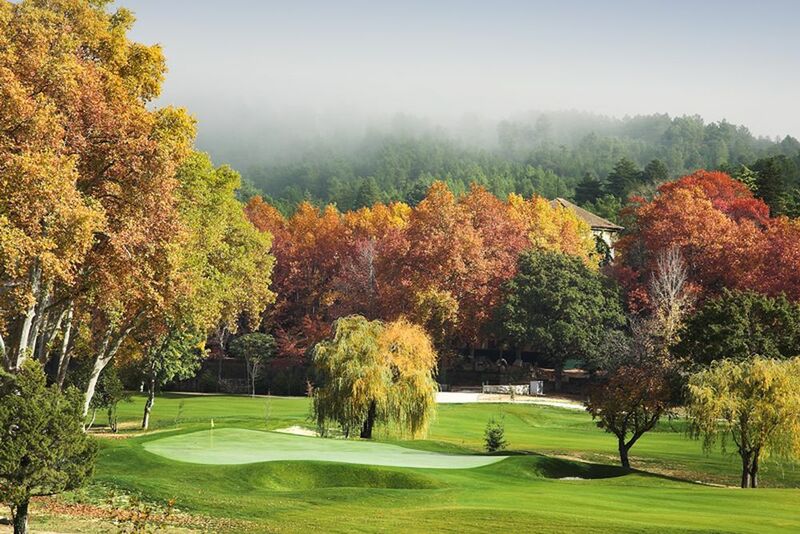 Vidago Palace Hotel contributes to Portugal’s reputation with its 18-hole golf course, as well as a Par72 Course with a total length of 6,308 meters.